A reasonable person. Artist. Musician. Design devotee. Exploring the relationship between graphic design and underground music. Day [whatever] of my ten all-time favorite albums. What really made an impact and is still on my rotation list. Here’s the cover. I’m not going to nominate anyone, because I don’t presume to know how much interest someone else would have in a ten-day commitment. Why am I sharing it here? Well, there was some fun comments that appeared on the original Facebook threads, so I’ve included links to those posts. 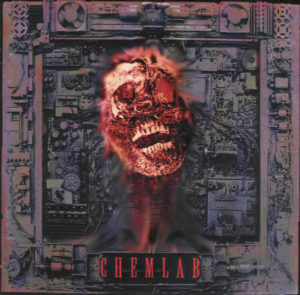 The Chemlab album was particularly fun. So, in order that I posted them, here are my top-ten favorite albums according to my poor memory and the ridiculous rules I imposed on myself. Scott Benzel and company paint a semi-futuristic dystopian America on their second album Concentration. 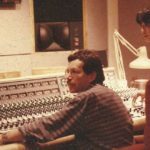 Benzel’s lyrics borrow heavily from a wide range of sources, including The Beetles and Aldous Huxley. 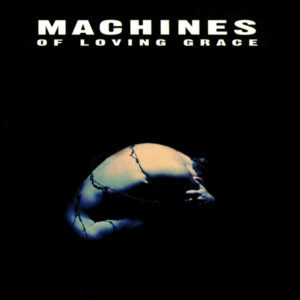 The Machines crew crafted dark pop songs sitting uncomfortably over post-industrial blips and soundscapes. Concentration is encrusted with Reznor’s influence, though his only credit on a MoLG release is a few remixes on a single from their first album. Machine rock? Coldwave? Depends on who you ask. Jared Louche’s lyrics channel a cybernetic William S. Burroughs, while Dylan Thomas More (with some guest musicians) manages to make techno-gutter-punk noises sound like precision-crafted mayhem. “Burn Out at the Hydrogen Bar” is the perfect soundtrack for almost any 1990’s cyberpunk film (or literature if you use your imagination). 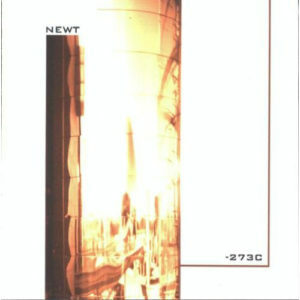 This album came out at the beginning of the industrial-cyberpunk movement of the early 90s, largely started by early Nine Inch Nails and Ministry, continued by bands like 16volt and Diatribe, only to later to be overly polished and made radio friendly by Stabbing Westword, Pitchshifter, and God Lives Underwater. Shortly after posting this on Facebook, Jared Louche himself contributed several comments on some of the stories my friends shared. Click here to view the thread. Daniel Myer (Haujobb) and Andreas Meyer (Forma Tadre) collaborated to create one of the most progressive techno albums ever made up until that point in the late 90s. Full of weird textures, filtered noises, and bouncing rhythms, -273C continues to be an inspiration for sound design and rhythm. It’s also, unfortunately, out of print. Go to Discogs to grab your copy. 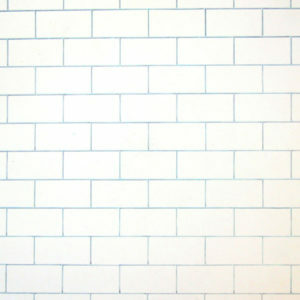 A lot of people would put “Dark Side of the Moon” before “The Wall”, but this Pink Floyd double-album is my personal favorite. It’s simultaneously intimate, expansive, lonely, and foreboding. The album centers around Pink, a lonely artist who lost his father to war and struggles with all of the things that family, society, and fame can dump on a person’s mental stability. Everyone knows “Another Brick In The Wall (Part 2)”, but the best bits aren’t just a catchy hook about pubescent rebellion. 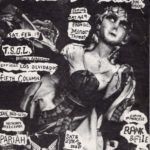 Another classic in industrial, guitar-driven punk music. 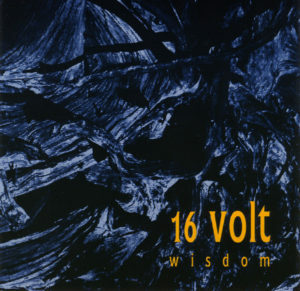 16volt’s “Wisdom” was produced by Skinny Puppy regular (and one-time member) David Ogilvie, along with Keith “Fluffy” Auerbach, another powerhouse producer and engineer on many early post-industrial releases. Everything sounds huge; the guitars, the drums, and synths, all fastened together with layered samples. This album is super high-energy. I still listen to it when I need a boost. 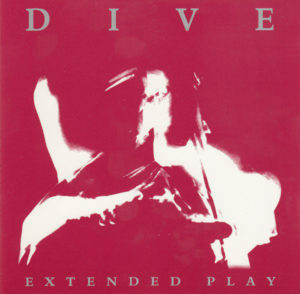 Dark, noisy, and minimal, Dive’s Extended Play is a six-track collection of cover songs. Dirk Ivens (also of Absolute Body Control, Klinik, and Sonar) strips down tracks by Klinik, Joy Division, Suicide, Wire, Fad Gadget, and Kraftwerk into barren soundscapes with tight analog percussion and synthesis. Every track is brooding, with Ivens’ distorted, echoey delivery haunting over FM bass plucks and blasts of noise. This EP was released in 1994, three years after the first Dive release, so the sounds are very reminiscent of that era. His most recent album came out just last year in 2017. Where post-industrial meets pop music, The Fragile combines the best of Reznor’s talents into a vast, multi-genre double album. 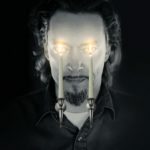 Experiments with different acoustic instruments abound, but the trademarked synthesizers and samples are just prevalent as ever. Still, a deep listen of the record will reveal progressive rock, jazz, and classical themes. 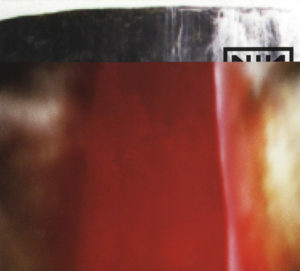 The Fragile is the first album by Nine Inch Nails with lyrics that are almost hopeful, despite the otherwise dark explorations in addiction, death, and anger. 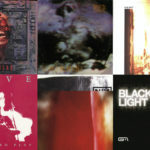 The design of the album was created by David Carson, the father of grunge design and typography – though rumors abound that he lifted his concepts from (nearby to me) Cranbrook Academy of Art. 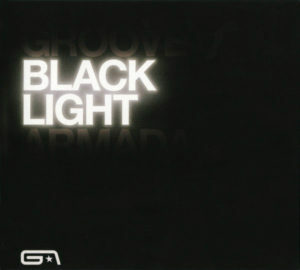 Drenched in Martin Hannett inspired reverb and dripping in classic analog synth sounds, Groove Armada’s Black Light is a gorgeous pop-rock record featuring guest vocals from Bryan Ferry, Fenech-Soler, Jess Larrabee, Nick Littlemore, Saint Saviour, and Will Young. Fans of New Order and the like should love this 2009 offering. A song? An album? 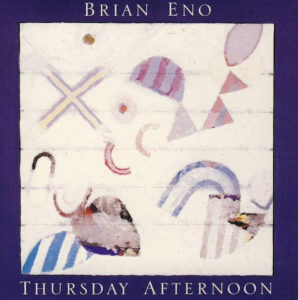 Eno’s “Thursday Afternoon” is a 61-minute track of delicate electric piano plucks, airy synthesizers, and gentle pads. Completely instrumental, this 1985 song was originally created for an 82-minute “video painting” commissioned by Sony. I cannot count the number of times I’ve used this soundtrack to lull myself to sleep. Acharyaa, K. (2016, April 27). 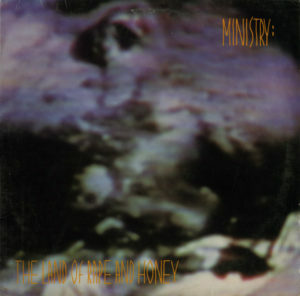 Revolting Lots: Al Jourgensen’s Favorite Ministry Albums. Your support is greatly appreciated. You can donate any amount once, or you can choose to make your support monthly.